CrypMIC is a new virus from a family of file-encrypting ransomware. Once started, it have encrypted your personal files stored on a computer drives and attached network drives. It uses very strong hybrid encryption with a large key. Once the virus finished enciphering of all files, it will create a file named “README.TXT” with an instructions on how to decrypt all encrypted files. 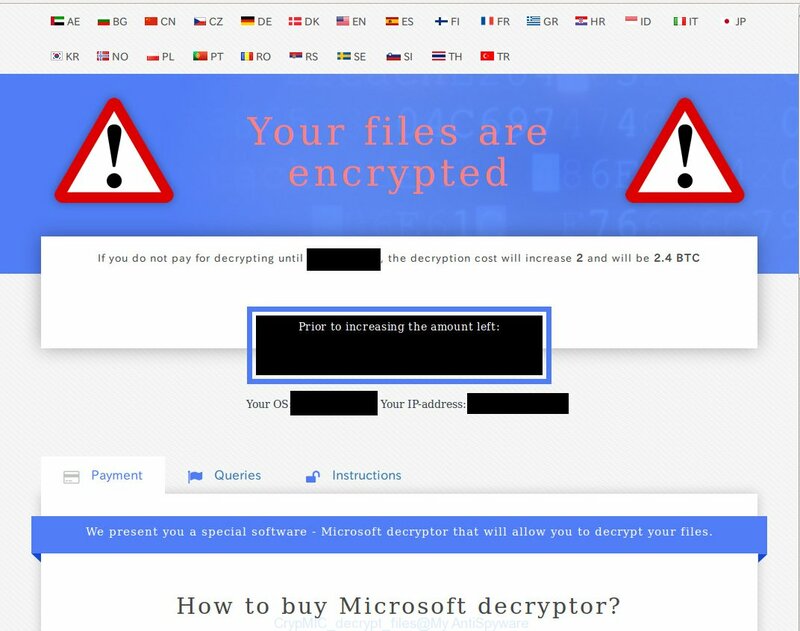 CrypMIC virus offers to make a payment in Bitcoins to get a a special software called Microsoft Decryptor to decrypt files. Important to know, currently not possible to decrypt the files encrypted by the ransomware without the private key and decrypt program. If you choose to pay the ransom, there is no 100% guarantee that you can get back your files! 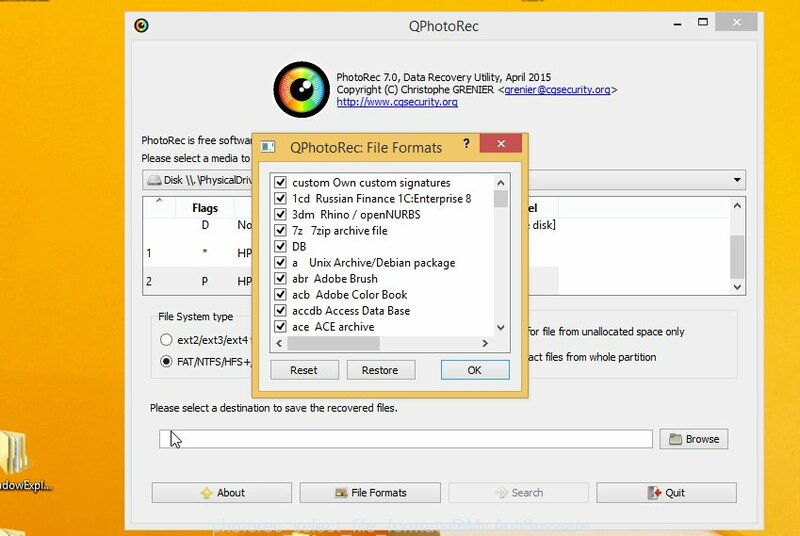 If you do not want to pay for a decryption key, then you have a chance to restore your files. 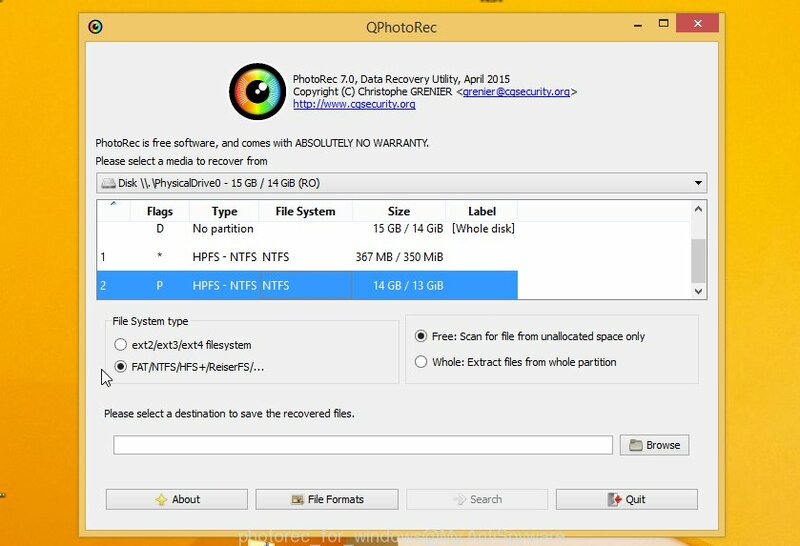 Use the step-by-step guide below to remove the virus itself and try to restore your files. Is my system infected with CrypMIC ransomware? How to download Microsoft Decryptor for free ? 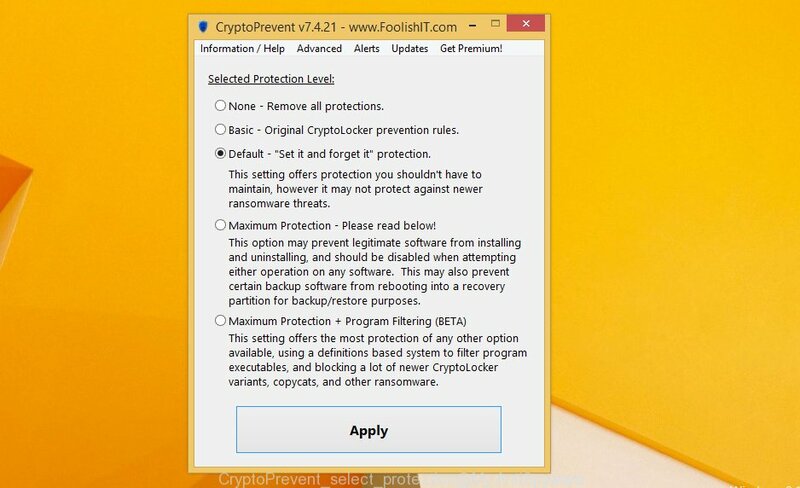 How to remove CrypMIC virus? 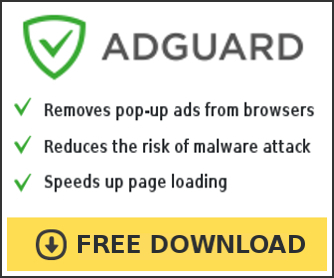 How to prevent my computer from becoming infected by CrypMIC ransomware? CrypMIC is a variant of ransomware infection. It affects all current versions of Windows operating systems such as Windows XP, Windows Vista, Windows 7, Windows 8, Windows 10. This virus uses a hybrid AES + RSA encryption mode to eliminate the possibility of brute force a key, which will allow to decrypt all encrypted files. 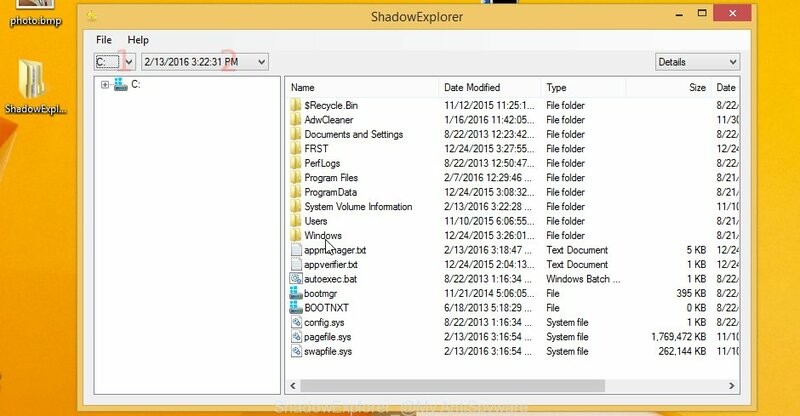 When the virus infects a computer, it uses system directories to store own files. 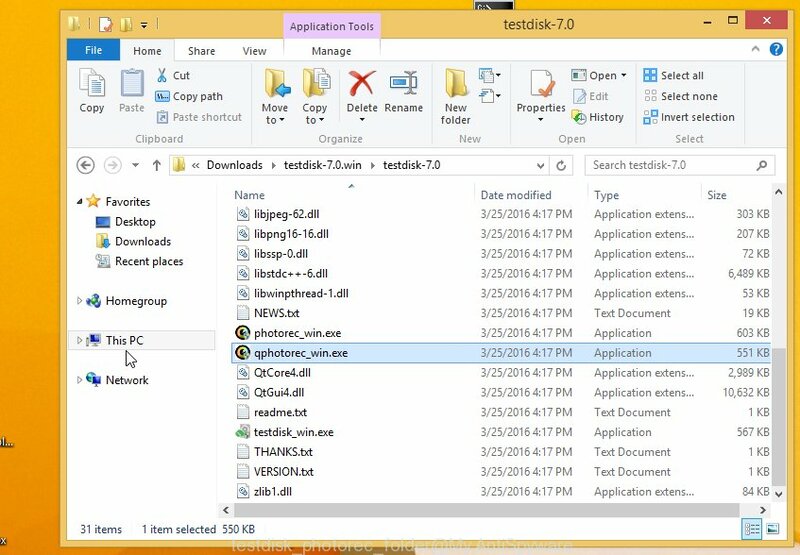 To run automatically whenever you turn on your computer, CrypMIC ransomware creates a registry entry in Windows: sections HKCU \ Software \ Microsoft \ Windows \ CurrentVersion \ Run, HKCU \ Software \ Microsoft \ Windows \ CurrentVersion \ RunOnce, HKCU \ Software \ Microsoft \ Windows \ CurrentVersion \ Run, HKCU \ Software \ Microsoft \ Windows \ CurrentVersion \ RunOnce. CrypMIC ransomware actively uses scare tactics by giving the victim a brief description of the encryption algorithm and showing a threatening message on the desktop. It is trying to force the user of the infected computer, do not hesitate to pay a ransom, in an attempt to recover their files. Identify that your computer is infected with CrypMIC ransomware quite easily. If your personal files, such as documents, photos, music does not open normally, that is, for example, when you try to open a document, Word reports that it is an unknown file type, then it is likely that the document is encrypted, and your computer is infected. Of course, the presence on the desktop a ransom screen or threatening message is a sign of infection. If you suspect that you have opened a email that infected with CrypMIC ransomware, but you does not see any symptoms of the infection, then do not turn off or restart your computer. First turn off the Internet! 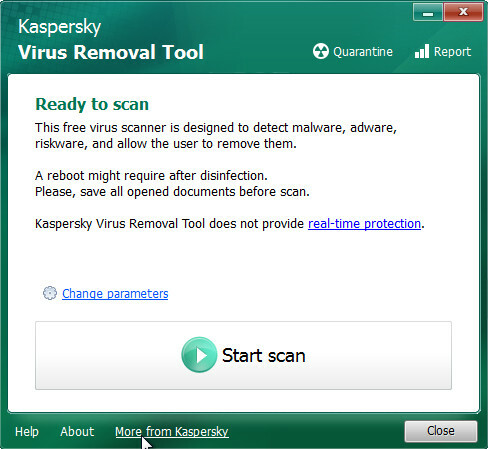 Then follow the steps in this guide, see How to remove the CrypMIC virus. Another option, shut down the computer, remove the hard drive and check it on another computer. Currently there is no available method to decrypt your files. The ransomware repeatedly tells the victim that uses a strong encryption algorithm. What does it mean to decrypt the files is impossible without the private key. Use a “brute forcing” method is also not a way because of the big length of the key. Therefore, unfortunately, the only payment to the authors of the CrypMIC ransomware entire amount requested – the only way to try to get the decryption key. There is absolutely no guarantee that after the payment of the authors of the CrypMIC ransomware will provide the necessary key to decrypt your files. In addition, you must understand that paying money to the cyber criminals, you are encouraging them to create a new virus. The cyber criminals offers to pay a ransom to get a chance to decrypt your files. Microsoft Decryptor is your private key + special decrypt software. Now, there is no available method to decrypt your files for free, but you can try to restore them. 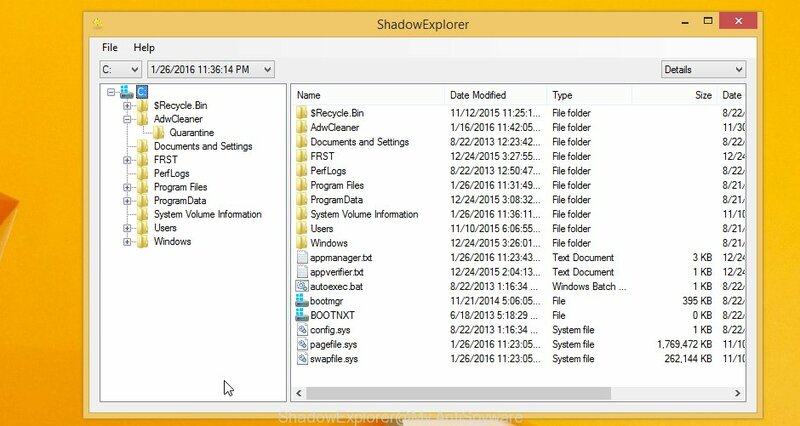 Use a free software, such as ShadowExplorer and PhotoRec. Follow the instructions. 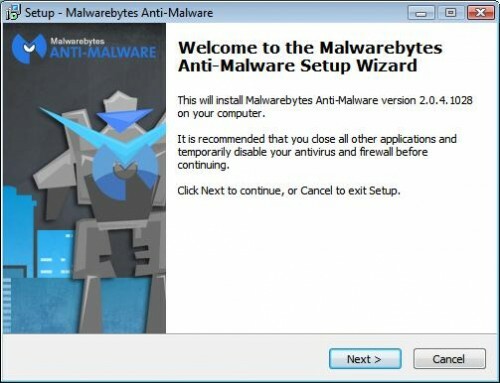 The following instructions will help you to remove CrypMIC malicious software. Before doing it, you need to know that starting to remove the virus, you may block the ability to decrypt files by paying authors of the virus requested ransom. Your computer should now be free of the CrypMIC virus infection. If you need help with the instructions, then ask for help here.